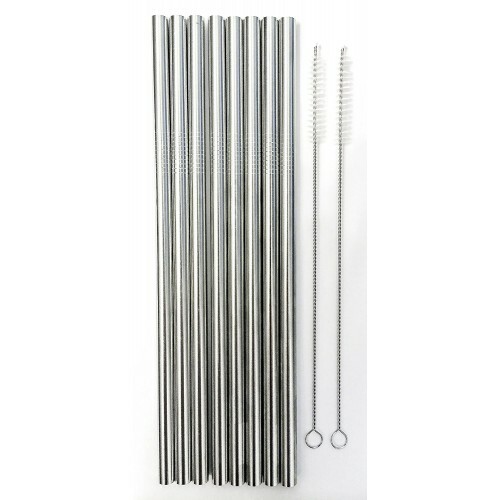 Eco-Friendly Alternative to Plastic Straws - Made of Beautiful Polished 18/10 Stainless Steel - Modern, Sleek design adds class & fun to any kitchen or party - great for the whole family!, Re-Usable , Washable Drinking Straws will last virtually Forever! - Environmentally Friendly design, use the same straws for years, rather then wasting so many plastic straws! 2 Cleaning Brushes Included! CocoStraw Wide Straight Straws are the perfect addition to any Green Home. Stop wasting plastic straws and start using the CocoStraw! 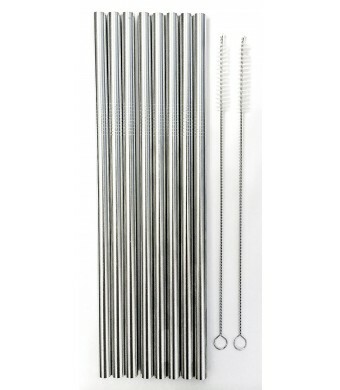 Re-Usable Stainless Steel Straws are Eco-Friendly, Fun to use, and Look Great! A Sure Hit at your next party. A Safer Alternative to cheap plastic - Non-Toxic - BPA free. These Wide Diameter Straws are 8.5 Tall and 5/16 wide- wider than a standard plastic bendy straw. Great for Frozen Drinks, Frappuccino, Smoothies, Iced Tea. Also work great in To-Go style tumblers from your favorite Coffee Shop. 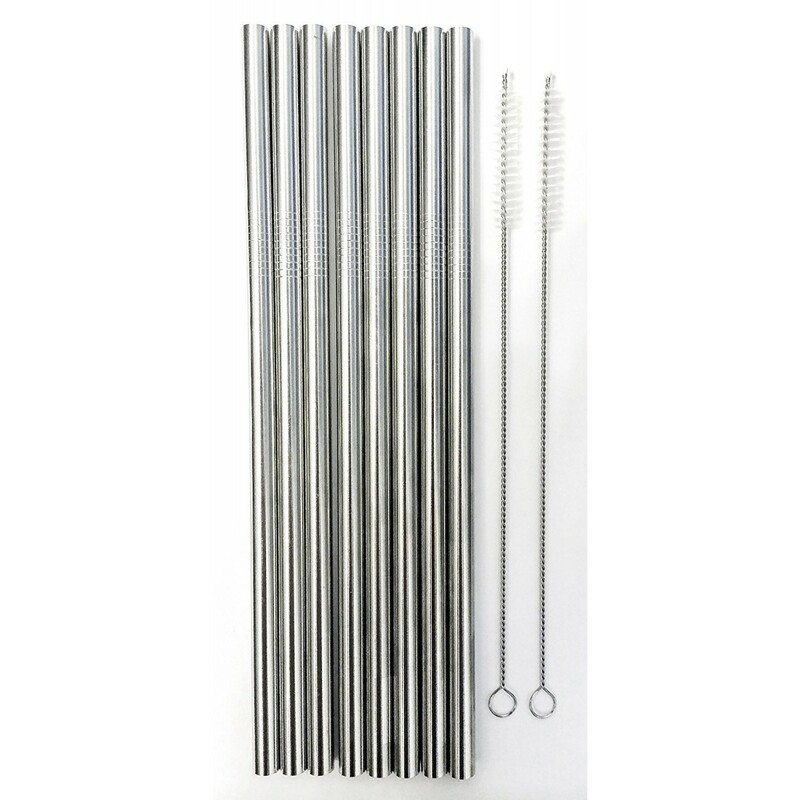 Constructed of Elegant 18/10 Polished Stainless Steel - Will last for many years to be used over and over again - and will continue to look brand new - CocoStraws are Dishwasher Safe! The included cleaning brush can be used to hard to reach areas and fine cleaning.Total of 8 straws and included 2 cleaning brushes Available in multi-packs of 8, 12 and 16 qty to save even more $ - great as gifts and party favors. ---- Our straws are KID friendly - SAFE!, 100% NON-Toxic. -- eco-friendly and responsible choice. Great for gifts, stocking stuffers, party favors - even spice up a dinner party or cocktail party. great for young coconuts - use our CocoDrill opener tool to tap into coconut and then use these straws to drink the water inside CocoStraw SUPER HEALTH! --- These wash clean every time. -- THICK steel construction for durable lasting use - wont' chip or crack. Handy to use, on the go, in the kitchen, BBQ, party favors, or just around the house! No More filling the landfill with thousands of plastic disposable straws. Our straws are unbreakable- dishwasher safe - INCLUDES Cleaning Brush. 18/10 polished Food Grade 304 Stainless Steel.